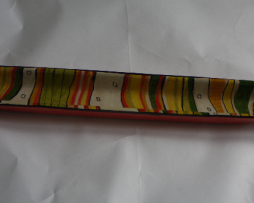 Rectangula olives tray with vertical istripes nterior decoration and exterior plain ocher decoration. 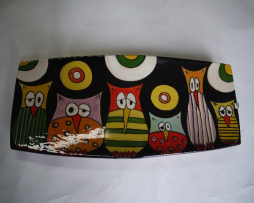 Rectangular kitchen tray decorated with owls and with black background. 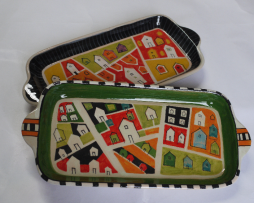 Rectangular tray kitchen with black or green board. 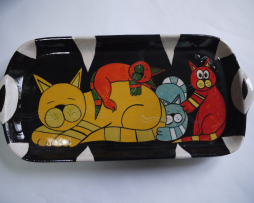 Rectangular kitchen tray with kittens decoration. 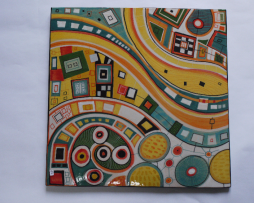 Square kitchen tray with decoration “Vortices”.